Avocados are dark green and have a smooth and shiny skin texture. The flavor is rich and nutty. Avocados do not soften on the tree but must reach full maturity before being picked to develop full flavor. The tree acts as a storehouse; the fruit can be held on the tree for many months after it reaches maturity. 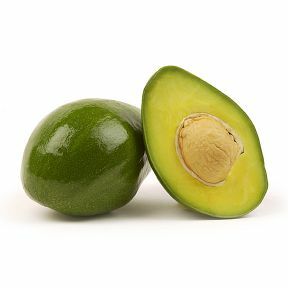 Handling: Avocados should be stored between 42 to 55 degrees Fahrenheit. Relative humidity should be kept at 85 percent. Typical shelf life is 14 to 28 days. The fruit is ripe when it softens to the touch, should be ripened at room temperature, and may then be refrigerated.